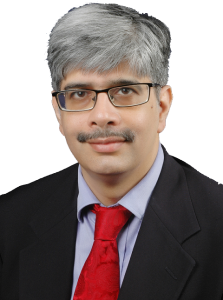 Fellow American Academy of Pediatrics Fellow American College of Cardiology Diplomate American Board of Pediatrics American Board of Pediatric Cardiology Vikas Kohli graduated with 5 gold medals from the University College of Medical Sciences, New Delhi in 1986. He subsequently finished his Pediatric training from PGIMER ( Chandigarh ). He completed his Pediatric Residency (USA) from the Montefiore Medical Center, New York and trained in Pediatric Cardiology at the University of Miami . He subsequently practiced Pediatric Cardiology in Florida, ; and before returning to . He has been Director of Pediatric Cardiology at RTIICS, Kolkata. He has been awarded Best Research in Pediatrics Award at the National Indian Academy of Pediatrics Conference 1991 & at the University of Miami Best Research Award in 1996. His research in Cardiology included management of post-operative Junctional Ectopic Tachycardia by paired ventricular pacing. He has also been awarded the American Heart Association/Genentech Award 1996; The American College of Cardiology – Affiliate in Training Award 1997. In addition, he has received the award for Excellence in Medical record documentation by the Jackson Memorial Hospital , Miami, Florida . He has performed several unique interventional procedures including Flow Restrictor Implantation in Pulmonary Artery for the first time in India; performed a balloon pulmonary valvuloplasty on a 1.7 Kg child; and balloon valvuloplasty on a child less than one day old. His main area of interest is in Interventional Pediatric Cardiology; his current area of interest is in Neonatal Cardiology; Fetal Cardiology (Fetal Echocardiography) and improving neonatal cardiac survivals in developing countries. He is the Joint Secretary of the IAP Cardiology Chapter and the Joint editor of the IAP Newsletter. He was also the convenor of Cardiology CME in National IAP 2006.